Saints Row IV is less than ten days away, and Volition is still pumping out dev diaries to make sure we all know it’s coming. The latest one is mainly a montage of some of the craziness in the game, but is no less entertaining. As you probably know by now, Saints Row IV is about aliens taking over Steelport and placing the Player in a Matrix-style simulation, from which he must break out–after, of course, inheriting a slew of superpowers. There are also nightmare versions of Leave it to Beaver, alternate versions of main characters, a giant Saints Flow mascot, and quite a bit more. This, said Volition recently, was the game where they did not have any boundaries or any reservations about features. With the engine already in place they could do anything, and nothing was considered “too stupid,” which was what happened to The Third‘s now-infamous Fart in a Jar. Good news for fans, who want this series to get as stupid as possible. Check out the video below. 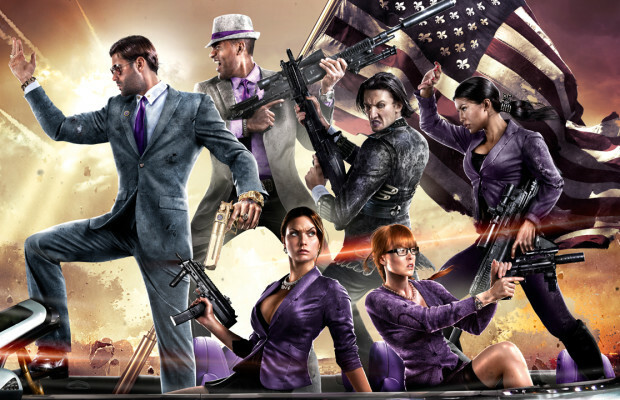 Are you excited for Saints Row IV? Tell us in the comments or find us on Facebook and Twitter!